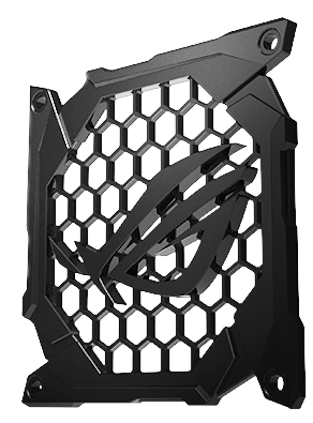 For more than a decade, Republic of Gamers has delivered exemplary design and performance to thrill the world’s best players and PC enthusiasts. Our journey is a road without end. 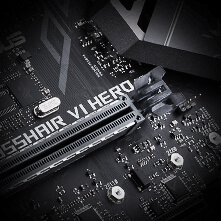 Now, it’s time for competitors to be warned and for gamers and enthusiasts to push the limits: The packed and pumped ROG Crosshair VI Hero Series motherboard is ready to defeat all challengers. 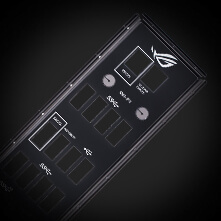 Customize your own favorite LED effects with Aura, the intuitive lighting-control software, to cast a stunning multi-color glow across your build via the ROG Crosshair VI Hero’s brilliant built-in RGB LEDs or attached RGB strips via the two onboard 4-pin headers ─ all lights will perform in perfect synchronization! Fire up Aura and enjoy the creative freedom of nine different lighting schemes. * One extension cable is included. 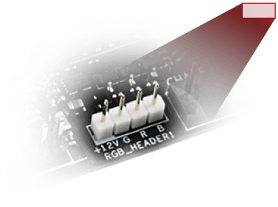 RGB LED strips need to be purchased separately. 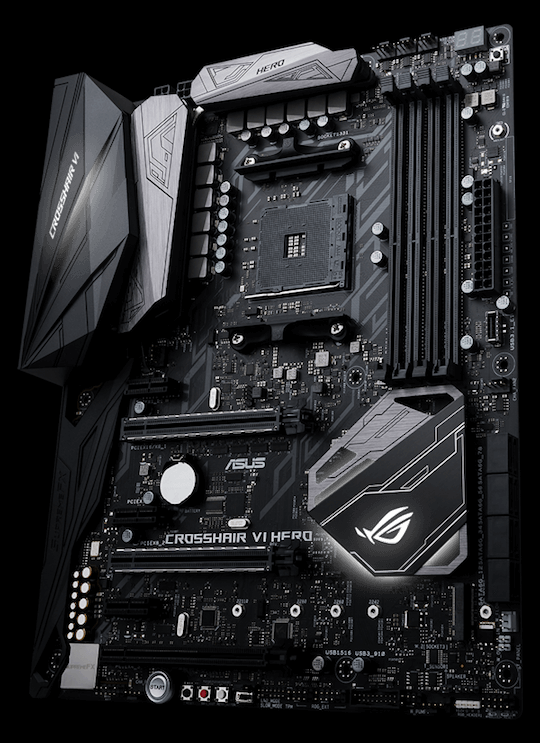 ASUS Aura Sync technology makes ROG Crosshair VI Hero the control hub for your illumination ambitions — so it’s easy to synchronize incredible lighting effects between compatible components, including RGB LED strips, graphics cards, keyboards and even mice! Change all LEDs in unison or employ dynamic modes to flow the illumination effects smoothly across all synchronized devices. 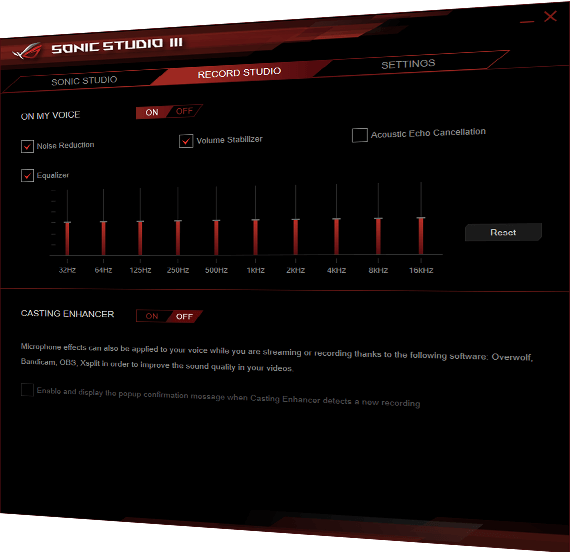 ROG’s awesome SupremeFX audio technology has levelled up, delivering an exceptional 113dB signal-to-noise ratio on the line-in connection and 120dB on line-out — and that means our best-ever recording quality! We’ve also added a low-dropout regulator for cleaner power delivery to the SupremeFX S1220 codec, an ESS® Sabre Hi-Fi ES9023P digital-to-analog converter for superior front-panel output, and a Texas Instruments® RC4580 op-amp for high gain with low distortion — which all adds up to audio that envelops you as never before. 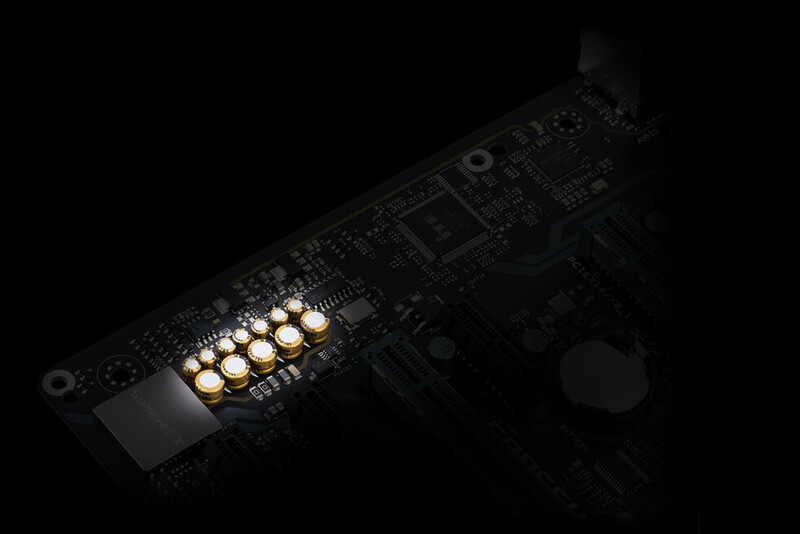 10 DAC channels, simultaneous 7.1-channel playback, independent 2.0-channel and multiple-stream stereo to front-panel outputs. 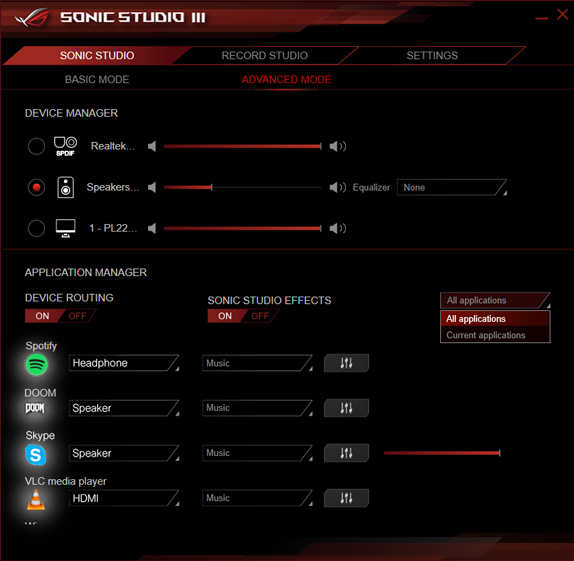 ROG’s Sonic Studio III audio effects station has been updated with an all-new routing feature to port streams to different outputs as well as app-level preferences for instant audio profiles and improved noise filtering for conversations with total clarity! 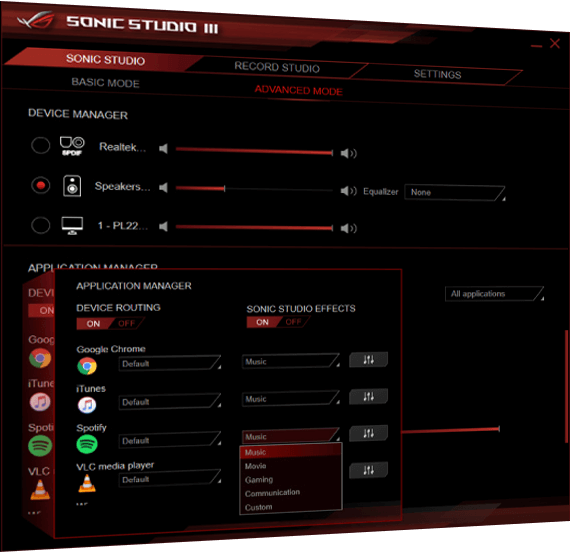 Sonic Radar III is all-new – with an evolved audio engine that processes sounds more accurately than ever, ensuring you’re always aware of what’s going on around you. A new on-screen arrow has also been added to help you pinpoint the enemy position instantly! 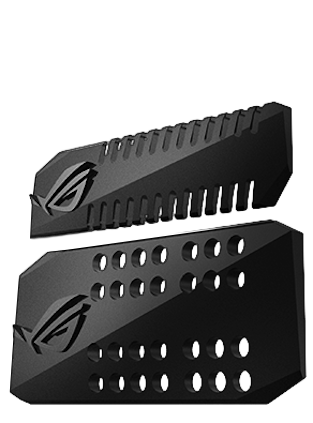 Clip the cover onto the PCB SLI HB bridge to add style to your build. 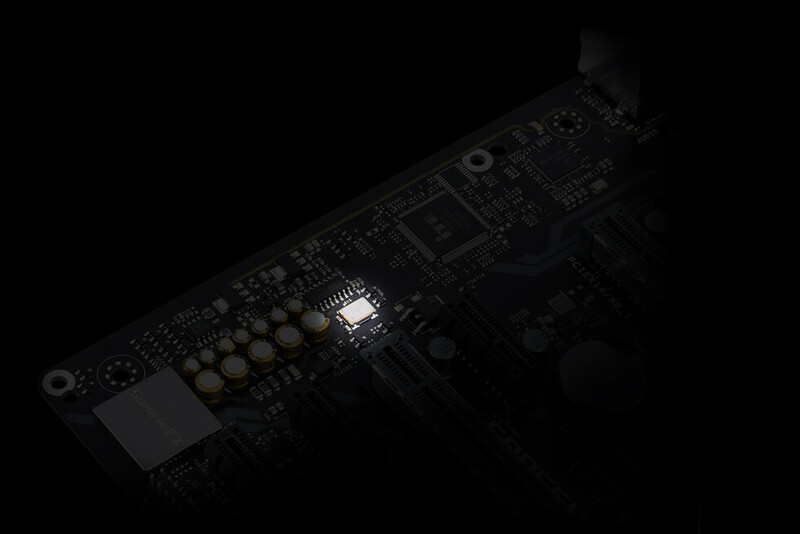 Multiple form factors — eATX, ATX and mATX — are available. Add a little extra style to your build. Keep cables organized with the multi-connector design. 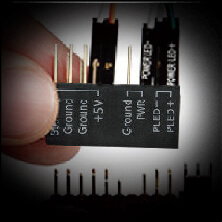 3D design files are available for 24-pin, 8-pin, 8 + 6-pin, 6-pin and 4-pin PSU connectors. 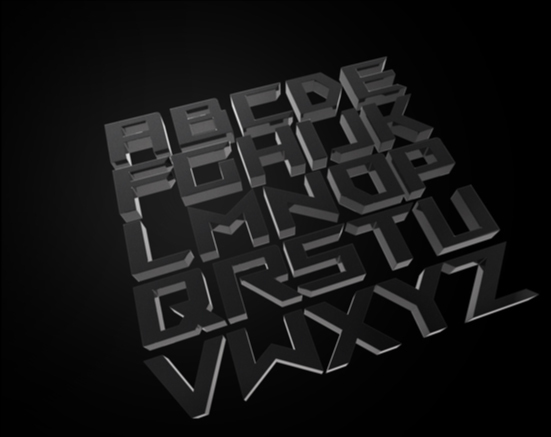 Use ROG font files to print letters ─ then fully customize your build by adding your name or any other word or phrase! 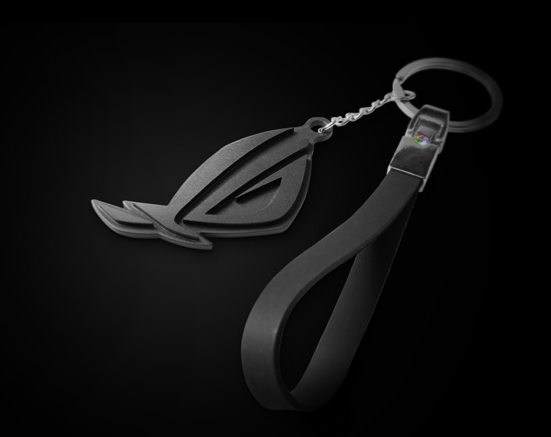 Print a 3D keychain and show your ROG passion to the world! Select the 3D source files you want to download. 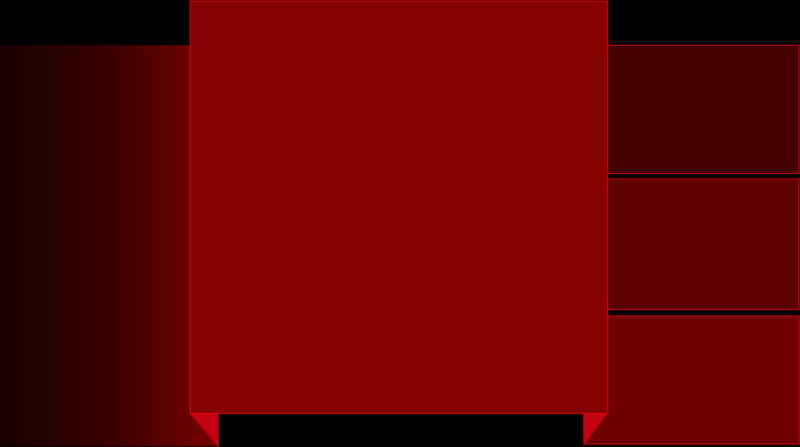 Adjust the size or shape of the provided 3D module, add text or change other attributes. 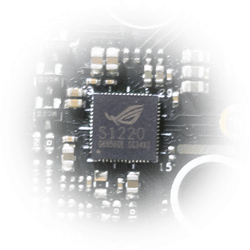 Use your own printer, or visit a local vendor or find the ASUS store via the Shapeways site. Easily assemble and fit your 3D-printed parts. 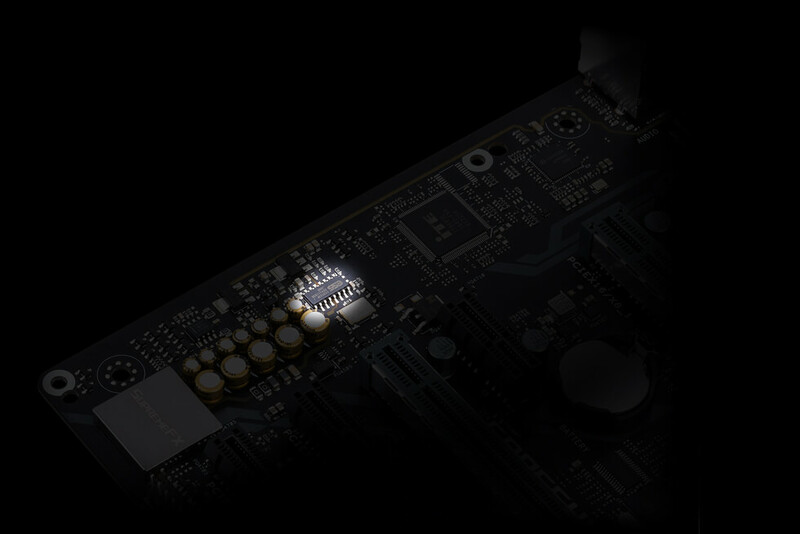 * Base-clock overclocking range will vary according to CPU capabilities, cooling, motherboard support and tuning options. 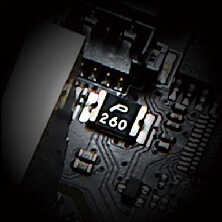 Ranges up to 650MHz are possible under some conditions. 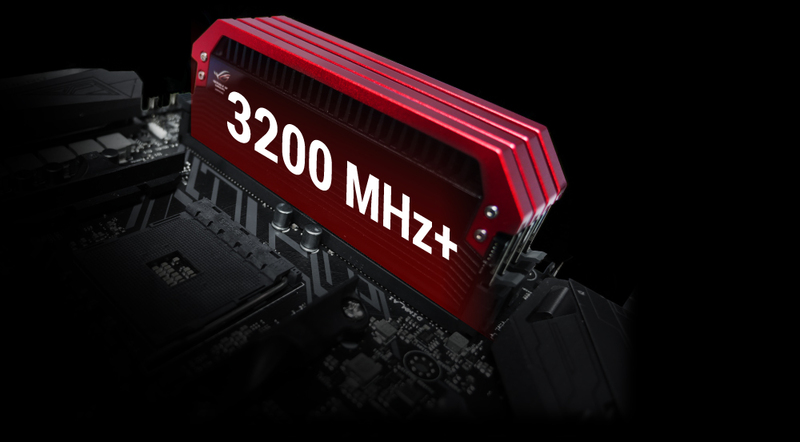 With support for DDR4 memory you’re able to drive memory frequencies up to 3200MHz (and beyond when overclocked)! 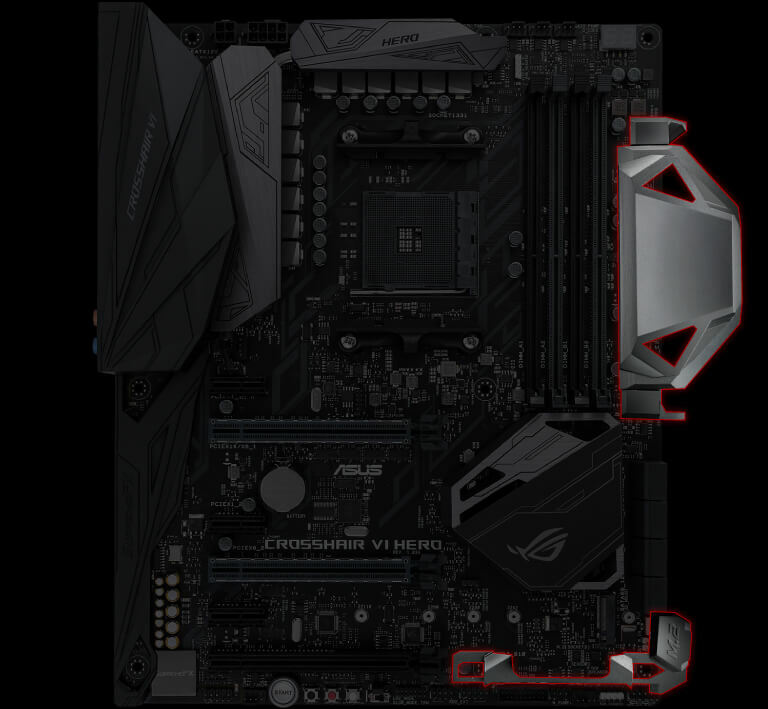 ASUS-exclusive T-Topology circuit design plus OC Socket provides superb memory-overclocking capability to unleash the full power of DDR4 by minimizing coupling noise and signal reflection. 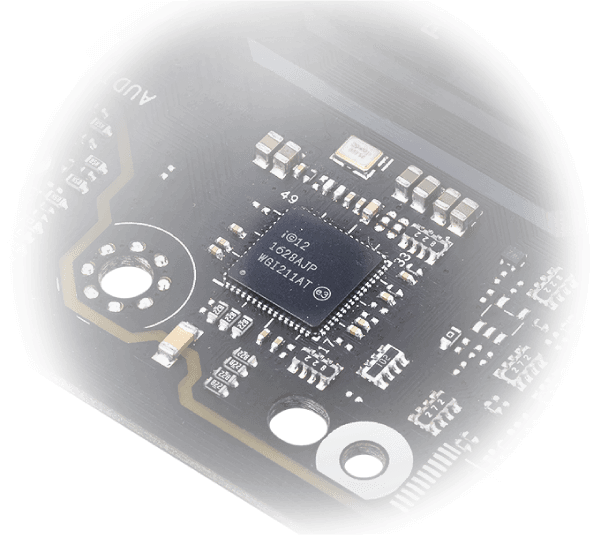 With innovative equidistant memory channels, it delivers the most balanced control and powerful overclocking compatibility. 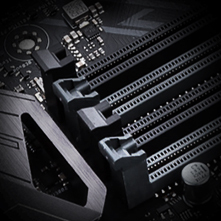 ASUS works with almost every DDR4 memory vendor to ensure the best compatibility. 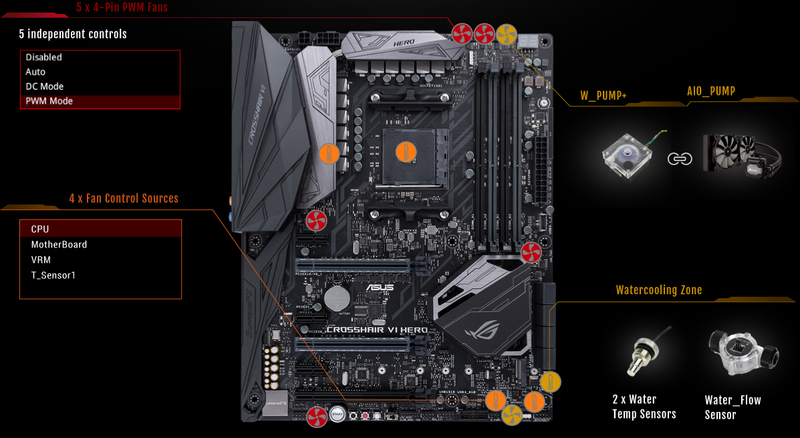 You don’t need to be an expert to max out gaming performance on your ROG Crosshair VI Hero — because 5-Way Optimization sorts all the complex settings with a click, for instant, highly controllable performance boosts! 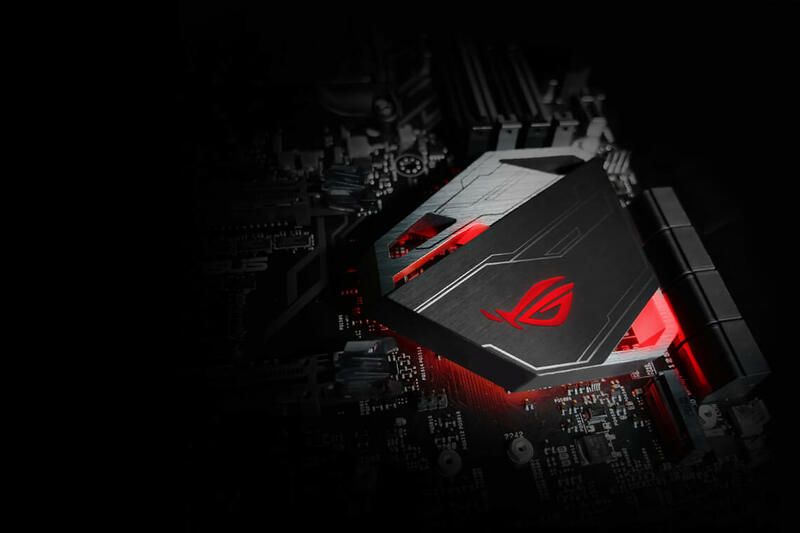 Exclusive ROG technology dynamically optimizes essential aspects of your system, based on real-time use — so you get superb CPU performance, everyday energy savings, ultra-stable digital power, cool and quiet fans and networking settings that are tailored for the apps that you are using. 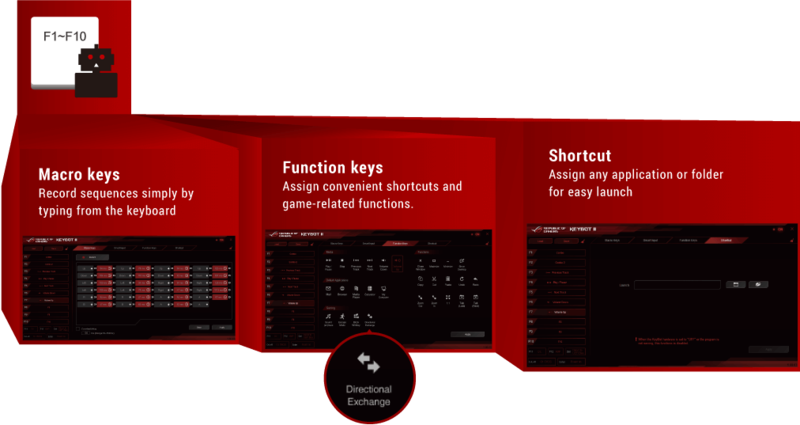 In short, 5-Way Optimization ensures that your PC is perfect for gaming, entertainment, and productivity! Play quieter and cooler with advanced fan and water-pump controls for the ultimate in undisturbed gaming. 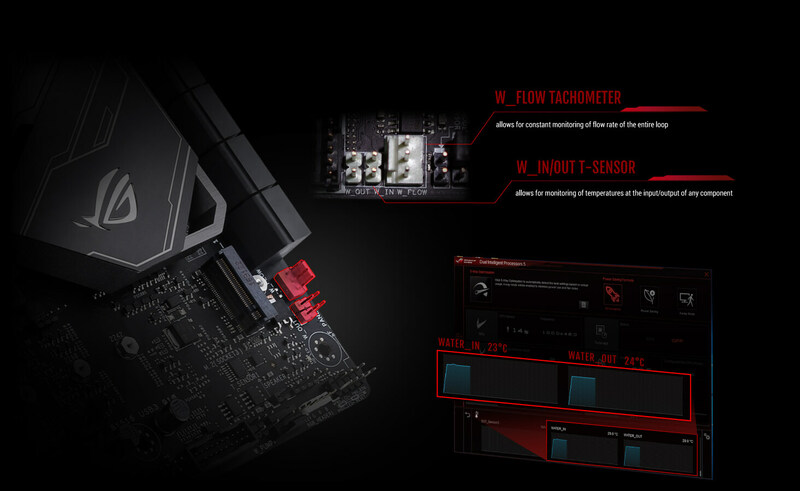 With onboard thermal sensors and hardware-level 4-pin/3-pin PWM/DC mode detection, Fan Xpert 4 makes sure every fan achieves the best balance of cooling performance and low noise ─ so you enjoy all the performance you demand with none of the racket! 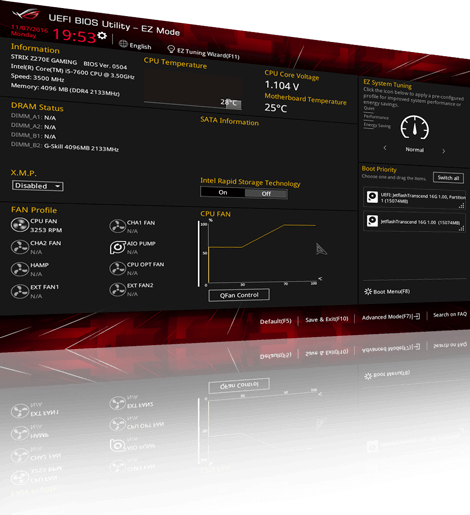 The smoothest, slickest mouse-controlled graphical BIOS has been improved to make it even more gorgeous. 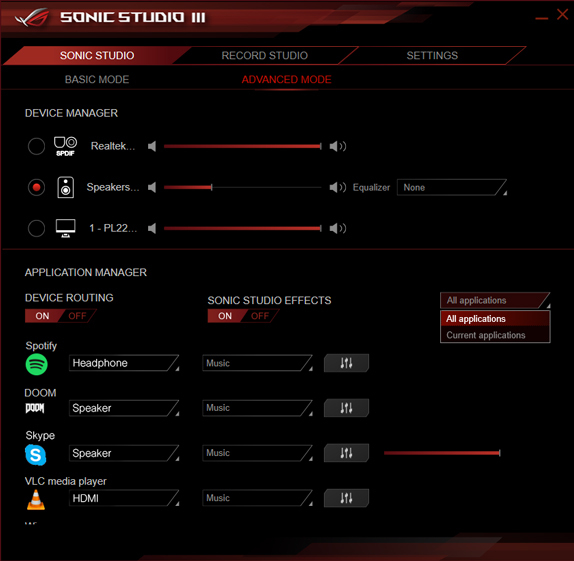 Whether you’re a PC novice or a seasoned overclocker, the EZ and Advanced modes help you find your way, quickly and easily. 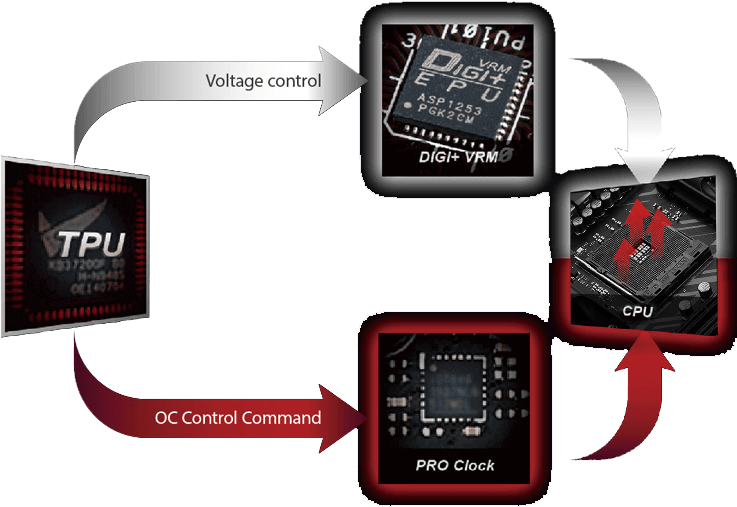 ROG’s revered digital power controller now delivers even-finer power, with Texas Instruments NexFET™ MOSFETs, MicroFine alloy chokes, Digi+ PWM controller and 10K black metallic capacitors — ensuring Extreme Engine Digi+ always delivers the smoothest core voltages. 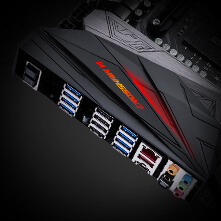 USB-C is the future-proof reversible connector — and ROG Crosshair VI Hero lets you put the connection right where it’s needed! 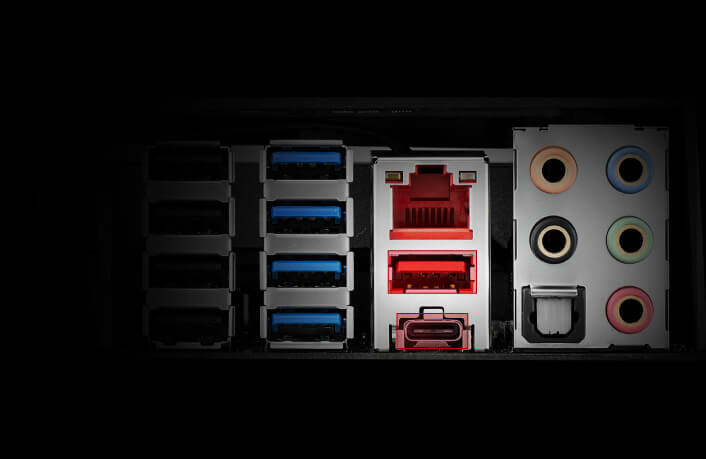 With an onboard USB 3.1 front panel connector you can position a USB-C port on your system’s front panel, so it’s always within reach. 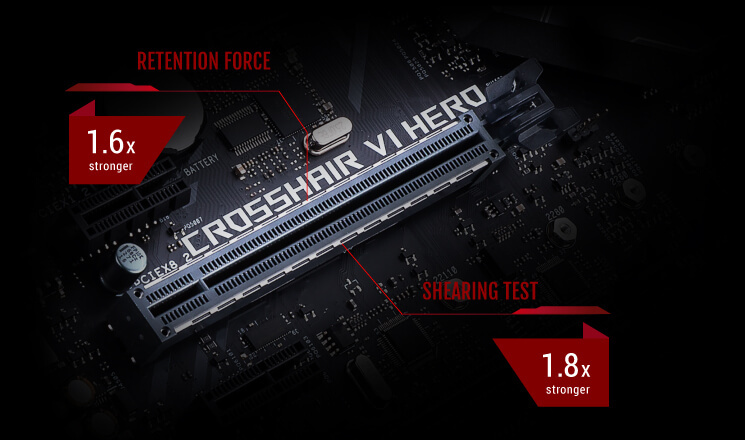 ROG Crosshair VI Hero features the very latest Intel® Ethernet Controller I211-AT for faster, smoother gaming. 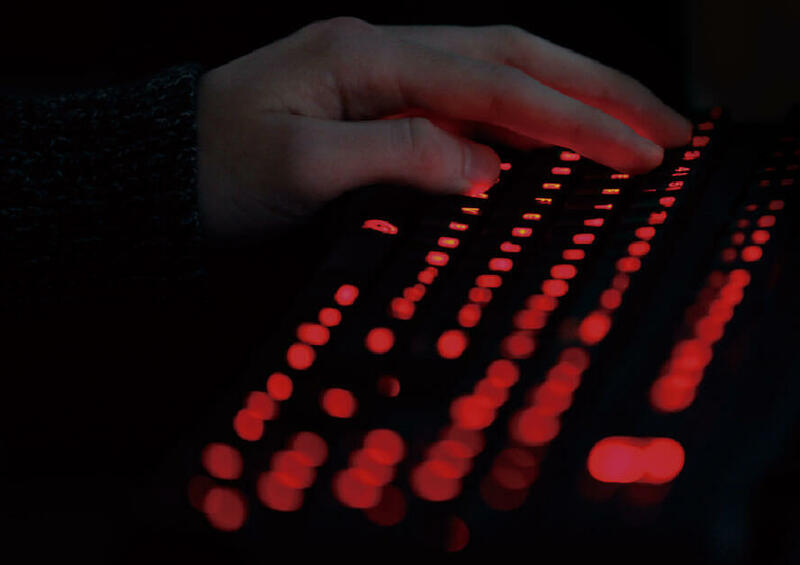 Intel’s LAN has the serious double advantage of reducing CPU overhead and offering exceptionally high TCP and UDP throughput, so there’s more power for your game and your gameplay. 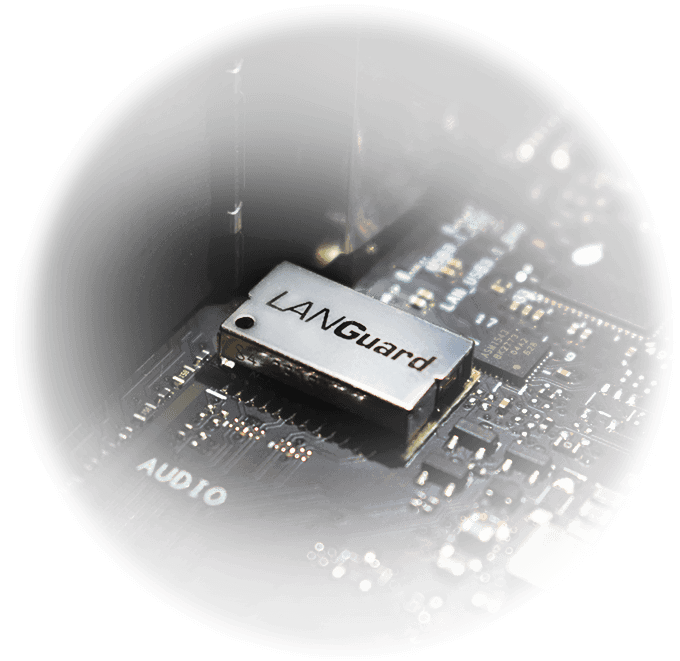 LANGuard means safer, more reliable connections for your battles! 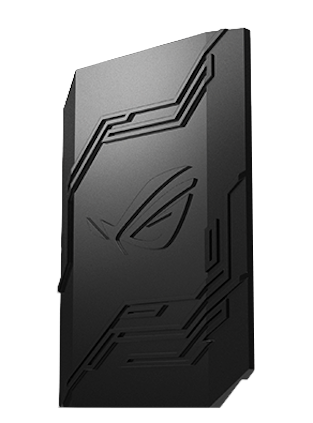 Advanced signal-coupling technology and premium surface-mounting processes join forces to protect your ROG Crosshair VI Hero’s connection, plus electrostatically guarded and surge-protected components (ESD Guards) for 1.9x greater tolerance to static electricity and 2.5x greater protection (up to 15kV) against surges! GameFirst IV optimizes network traffic for faster, lag-free online gaming — and now we’ve added Multi-Gate Teaming to team up to 4 networks for maximum bandwidth and smooth gameplay. You’ll also enjoy all-new Intelligent mode, which automatically compiles a database by parsing new app data to ensure that every game is optimized for the best performance. electrostatic protection than standard. ESD Guards cover the USB, audio and LAN ports. USB power supplies provide rock-steady 5V to all USB ports, minimizing power fluctuations for minimal data loss. makes it easy to sort all front-panel cables. 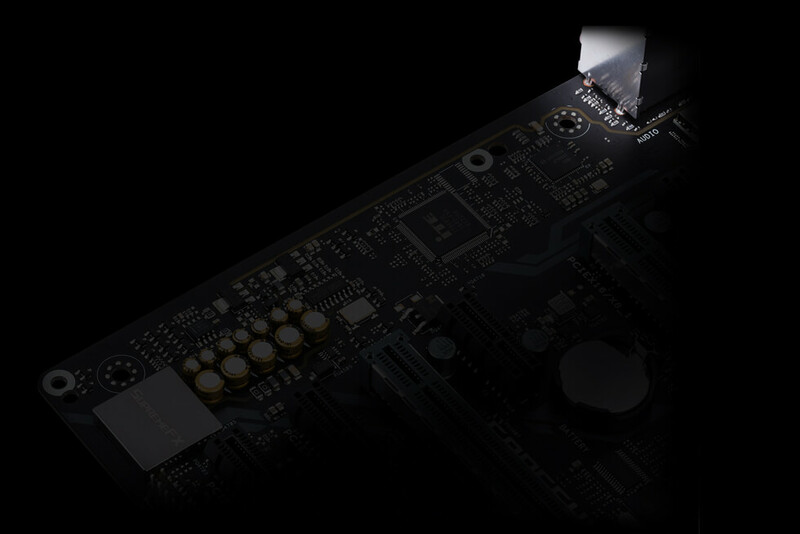 makes it easy to swap or secure your graphics card. 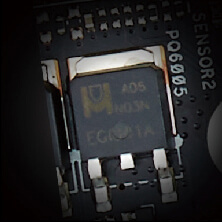 clips provide super-simple, super-secure handling of memory modules. 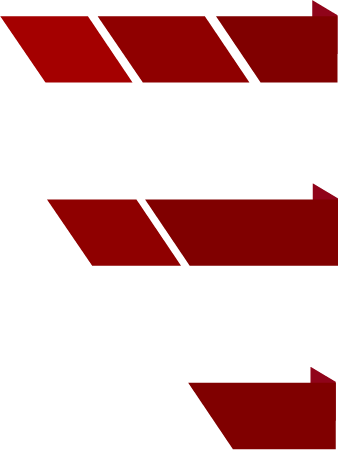 resettable fuse protects connection ports and DRAM against overcurrent and short-circuit damage. protect your hands from nicks and cuts. A clever, unobtrusive overlay keeps you in the game and allows you to browse the Web, email, IM, stream or record while you play. 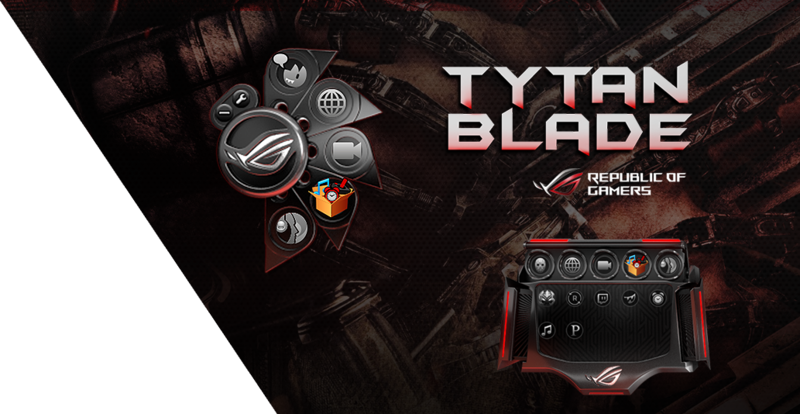 The overlay is dressed in color-matched ROG skins to show you’re part of an elite pack. 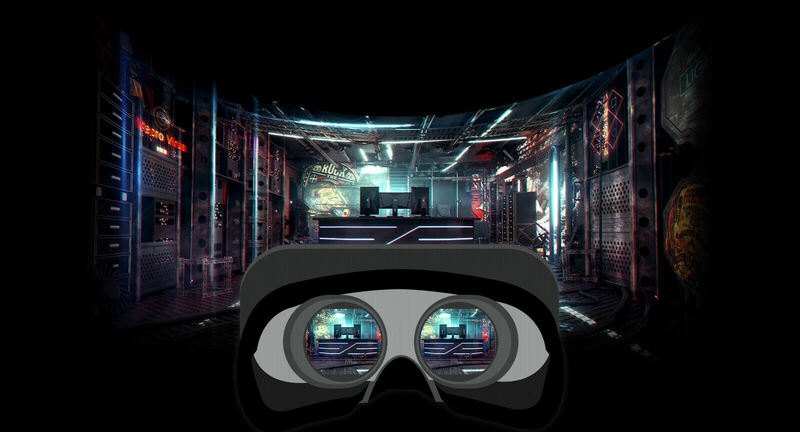 Grab it now from Overwolf’s app store! 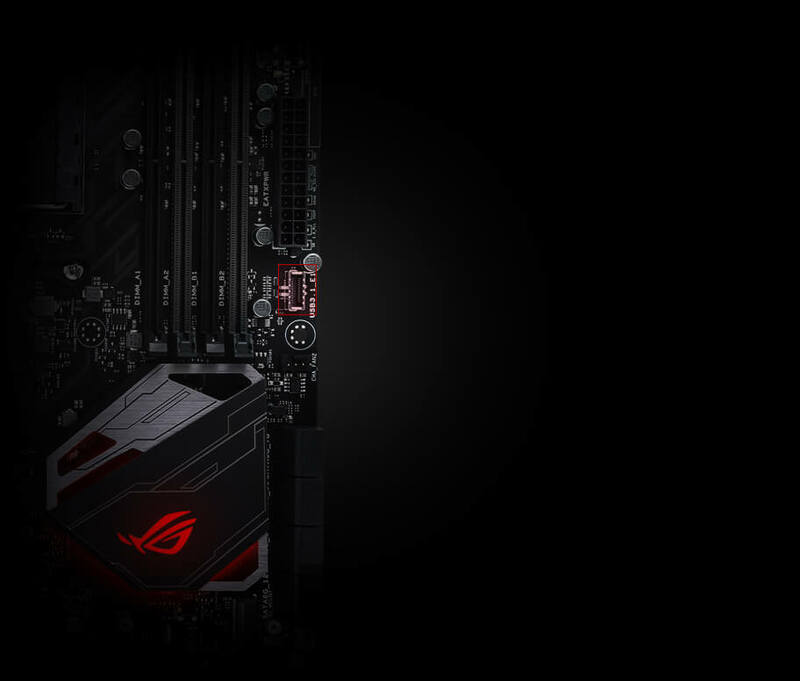 ROG’s uniquely intelligent technology effectively caches an entire storage device so that favorite games and apps launch at breakneck speeds: going to work the moment it’s activated. 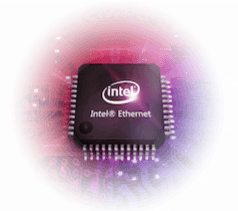 RAMCache II turns milliseconds into microseconds to boost game-load times to stratospheric levels! 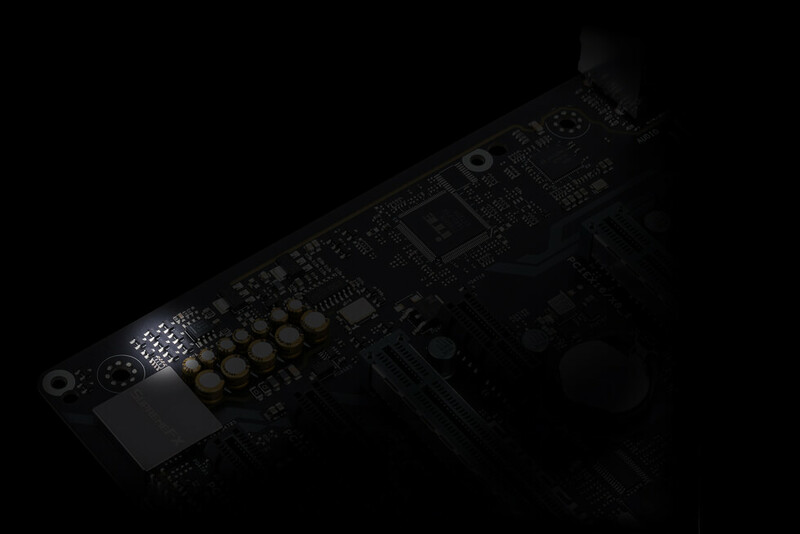 Boost your favorite applications up to 20X faster than SSD with the junction function. 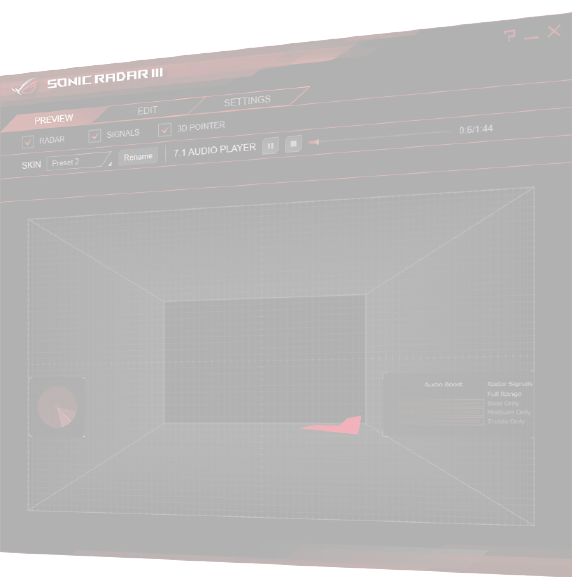 ROG Crosshair VI Hero isn’t just VR Ready — it goes way beyond! 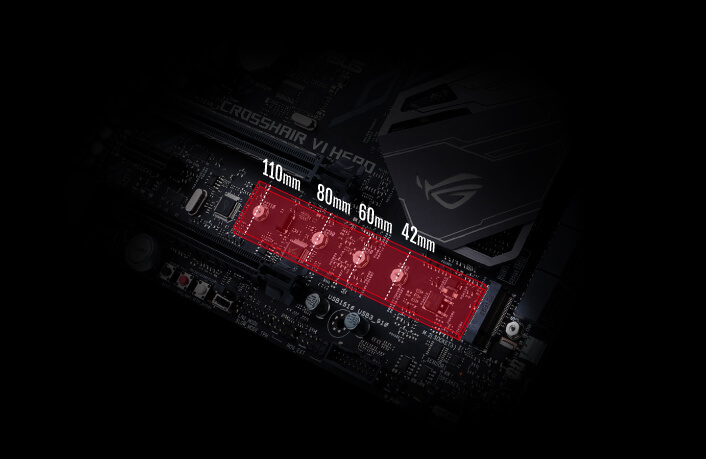 The ASUS ROG Beyond VR Ready marque means that ROG Crosshair VI Hero has been tested with loads of class-leading components to ensure that your productivity, gaming and entertainment needs are tuned for maximum performance after you’ve taken off the headset. ASUS Beyond VR Ready opens up a new way to configure and build your dream system with total confidence. 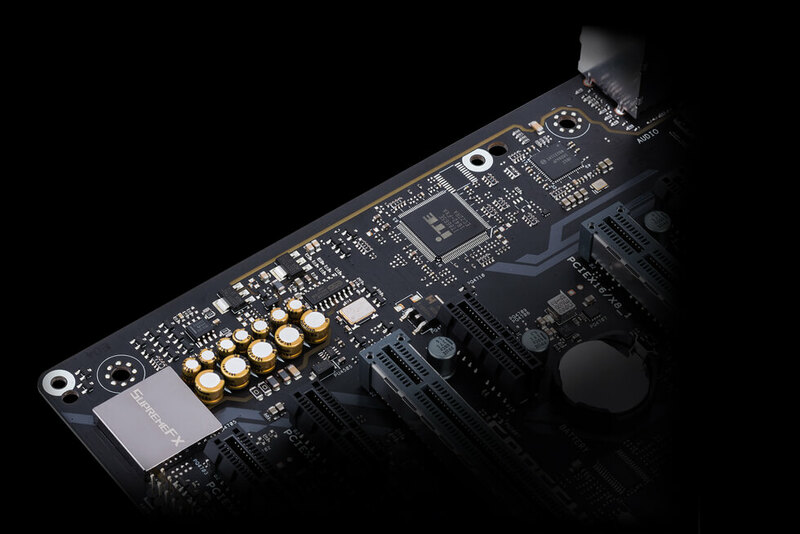 This motherboard supports AMD® Ryzen™ processors, 7th Generation A-series accelerated processing units (APUs) and Athlon™ CPUs. The high-performance Ryzen™ processor supports up to eight cores, and is based on the innovative Zen core architecture. 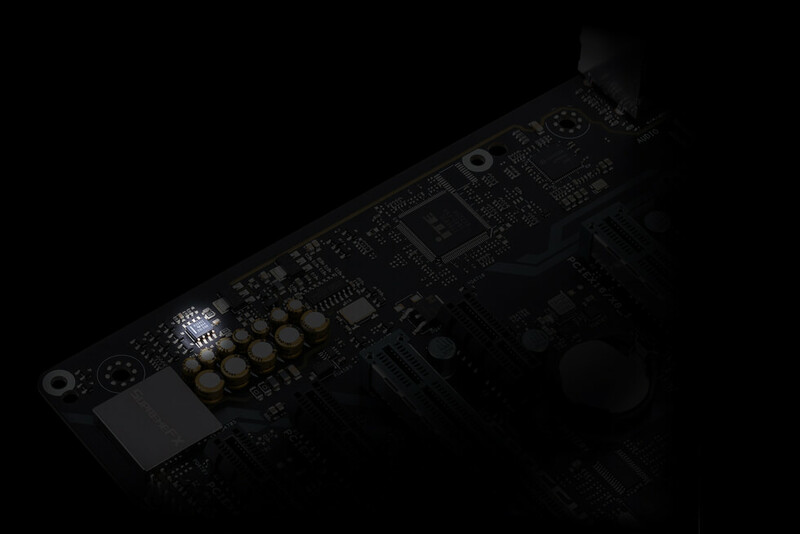 The 7th Generation A-series APUs feature integrated AMD Radeon R-series graphics. 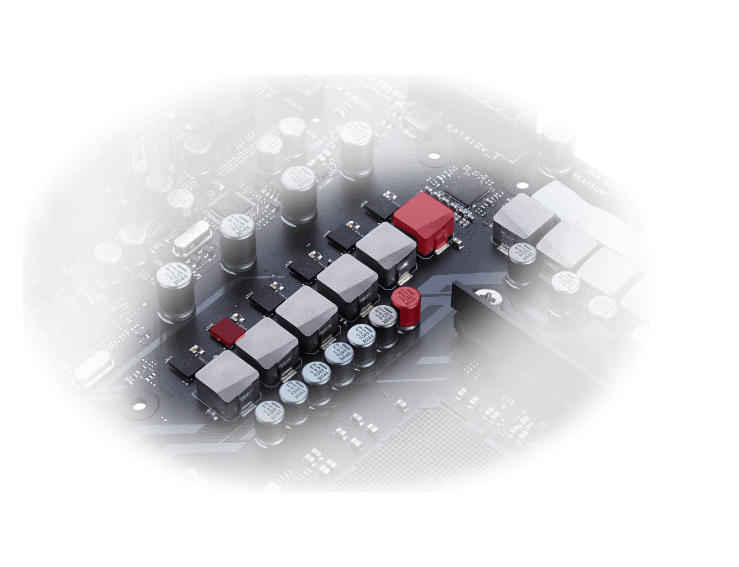 AMD AM4-socket processors feature dual-channel DDR4 memory, native 5Gbps USB 3.0 and 16 PCI Express® 3.0/2.0 lanes for superb performance. 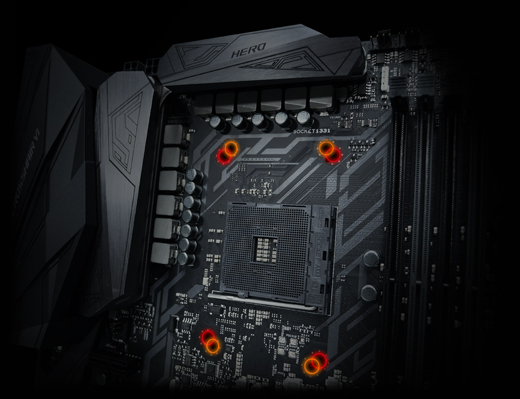 The AMD X370 chipset delivers outstanding overclocking capabilities for the latest AMD® AM4-socket Ryzen™ processors, 7th Generation A-series APUs and Athlon™ ACPUs. 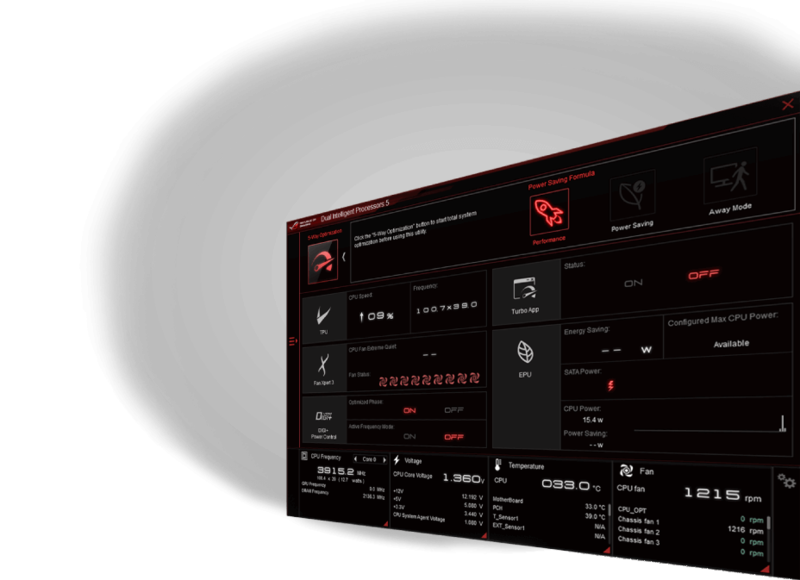 It is optimized for multiple GPU configurations including NVDIA SLI™ and AMD CrossFireX™. It also provides two 10Gbps USB 3.1 ports and eight 6Gbps SATA ports for faster data retrieval.